Citrus and vanilla are not things that I would normally think of pairing together, but with the mix of cedarwood added and my personal liking of grapefruit, I was game for this scent. Upon application it blossoms into a tangy, citrus-and-woods filled bouquet with the base of vanilla in the background. The juxtaposition of scents is intriguing and I find myself sniffing it repeatedly as it changes and settles on my skin. Each note is distinct and genuine. This is a long-lasting scent and by the end of the day I smell the vanilla base note holding out. I feel that this scent is a great way to shake things up in my routine of fragrances. I also believe that this is a unisex scent and feel that it smells the most mature out of the four in the set. I picture old estate libraries with polished wordwork when I smell this. Wearable at any time of year, especially good in a professional setting or the great outdoors. Can be worn by man or woman, probably not as appealing to the younger set. LAVANILA's Vanilla Grapefruit in a word: interesting. First off I do want to know why there is more than just vanilla in "Pure Vanilla". Aside from that, it does live up to it's name and smells just like real vanilla. I adore this scent and most other people do to. There is a faint floral note from the heliotrope when you first apply it, but throughout the day what you will continue to smell is the vanilla. It is comfortingly foody without being too gourmand. Yes, this perfume captures the note of vanilla perfectly. It is never too strong but is warm and delicious treat when you get close to it. I want to keep this fragrance in my collection for layering, as I find it to be long-lasting on my skin and very complimentary. Just like vanilla in baking it's one of those yummy key ingredients that you'll want to keep on hand. I think of baked goods and high-end scented candles when I sniff this. Especially nice for cool weather and appropriate at all times. Can be worn and enjoyed by people of all ages. LAVANILA's Pure Vanilla in a word: basic. I have never thought of the concept of scent layering before! 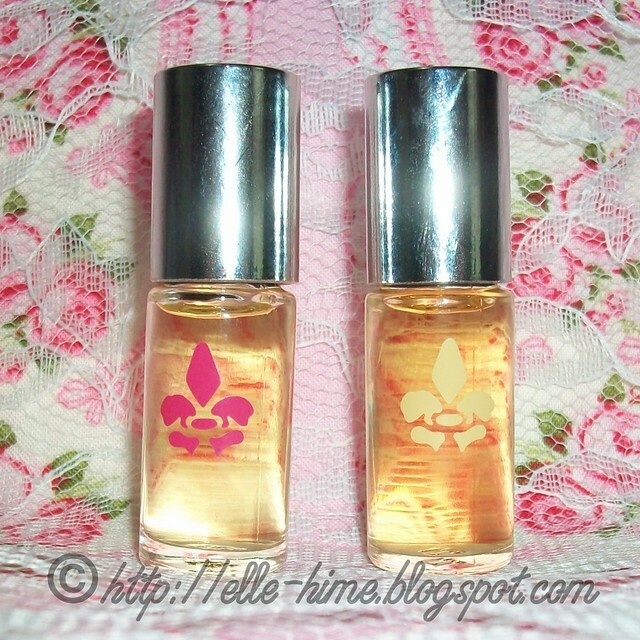 i love roller ball fragrances, theyre so convenient to throw in my handbag and keeps me always smelling yummy ! Im a new follower, please check out my blog !